When Ford revealed the all-new 2020 Explorer, it casually tossed in it would also have a hybrid variant. At that time, there was no information to go on, but the automaker has finally revealed some details surrounding the 2020 Explorer Limited Hybrid. Here’s what to expect. We expect the 2020 Explorer Limited Hybrid to carry the same interior look, feel, and features as the standard model. This will include all-new with a cleaner dashboard that includes just a few buttons in its center stack and an available 10.1-inch portrait-oriented touchscreen. The big difference will be the hybrid model’s extra economy gauges. Since it is based on the Limited trim level, there will be loads of standard features, including active noise cancellation, micro-perforated leather seats, accent stitching, second-row heated seats, a 14-speaker B&O audio system, a wireless charging pad, and 10-way power seats. 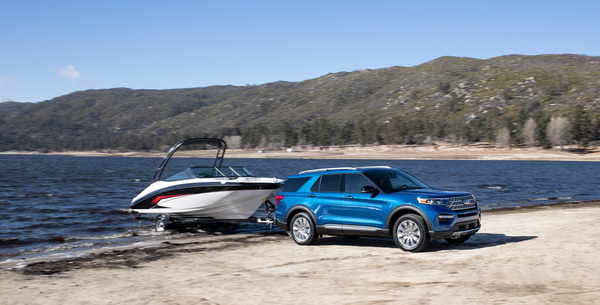 Under its hood, the 2020 Ford Explorer Limited Hybrid will come standard with a 3.3-liter V6 gasoline engine and an electric drive unit that combine for 318 horsepower. This power will route through a 10-speed automatic transmission. All this will combine to deliver over 500 miles of cruising range on a full tank of fuel. 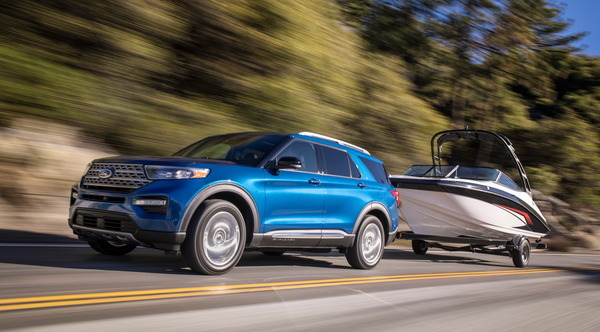 Like the rest of the 2020 Explorer lineup, the Limited Hybrid will put your safety front and center with its standard Ford Co-Pilot360. This will include advanced safety tech like automatic emergency braking with pedestrian detection, forward-collision warning, blind-spot monitoring, rear cross-traffic alert, lane-keep assist, a rearview camera with washer, and automatic high-beam headlights. 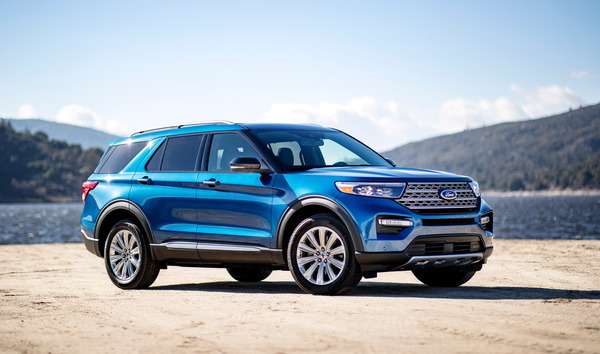 Given it holds up structurally, the 2020 Ford Explorer Limited Hybrid has the goods to make it an IIHS Top Safety Pick. 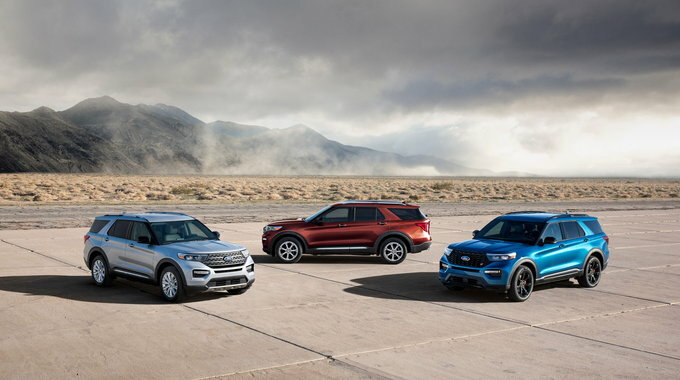 The 2020 Ford Explorer lineup will arrive in the summer of 2019, and we may see the Limited Hybrid version arrive a few months later. 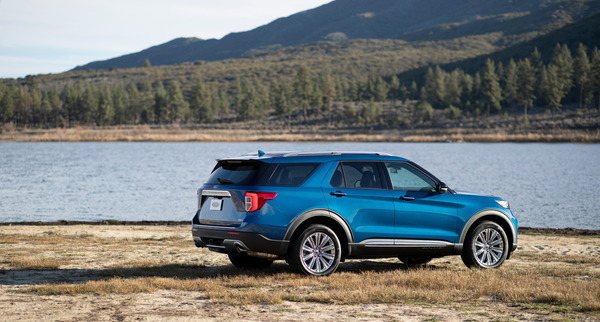 Official pricing will start at $52,780 including destination, making it $3,555 more expensive than the regular Explorer Limited ($49,225). There are not many hybrid SUVs this size, but we expect the vehicle will compete with the Toyota Highlander Hybrid. Some buyers may also consider the smaller RAV4 Hybrid. The 2020 Ford Explorer lineup will arrive in the summer of 2019, and we may see the Hybrid arrive a few months later.